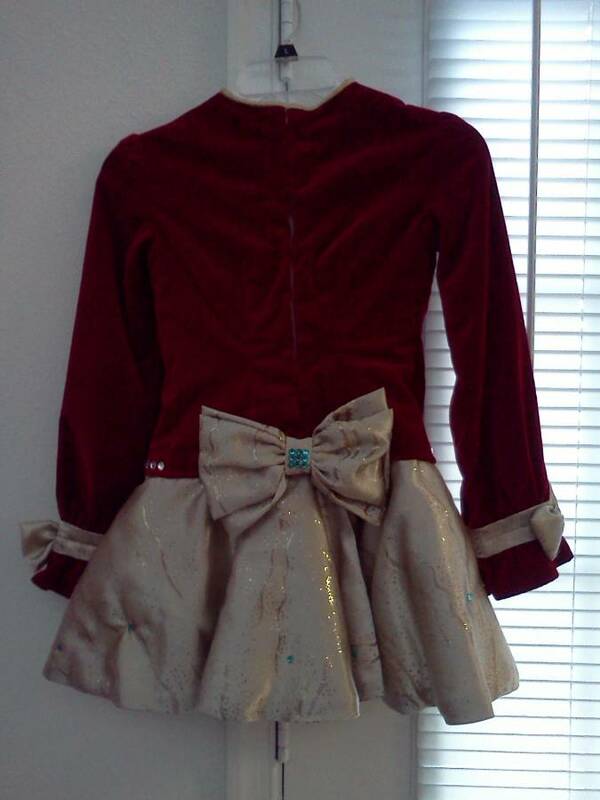 Truly one of a kind rich red velvet bodice with gold twinkling glitter satin skirt. 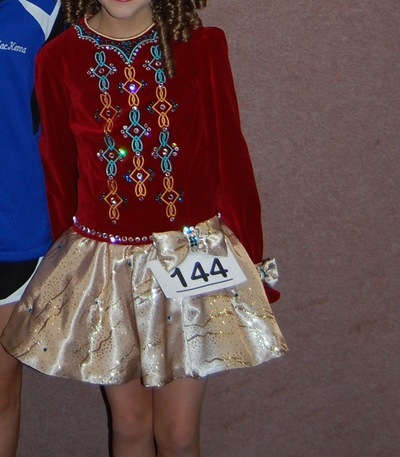 Swarovski crystals in turquoise and clear provide plenty of sparkle and compliment the embroidery. 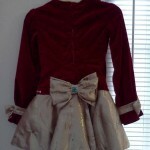 Gold bows on cuffs, skirt, and back (in place of cape) make this a sweet little dress. Layered tulle tutu sewed into skirt. You may add additional layers for more volume if desied. We are selling due to growth spurt. It has been worn less than a year. 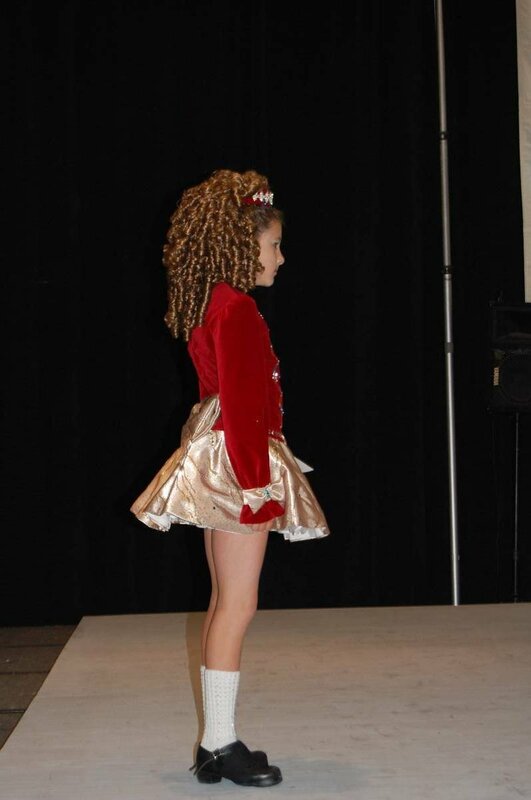 Dancer was a size 8-10 in girls dresses at the time. Comes with matching headband and gold bloomers. Asking Price: $US500 OBO. Shipping costs are included for my own country, overseas shipping is extra. Returns are negotiable.